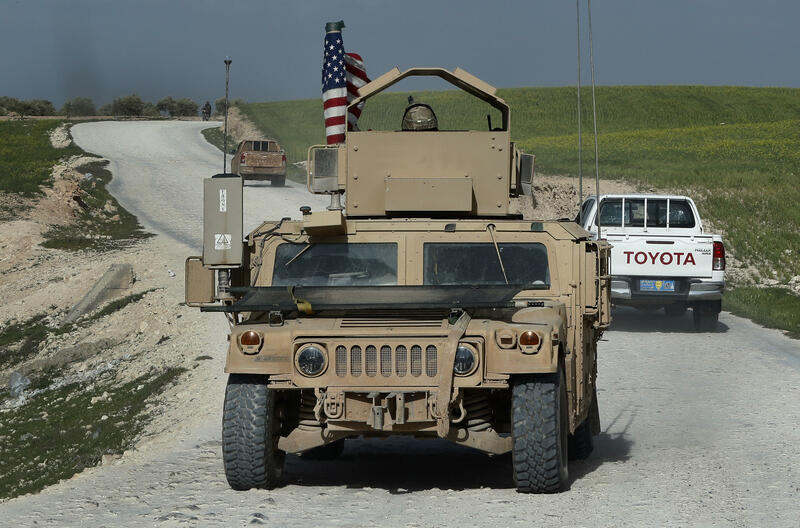 U.S. mulls changes to Syria policy, after Trump says U.S. will leave Syria "soon"
President Trump's declaration last week that the U.S. will get out of Syria "soon" came just a day before the administration halted $200 million in U.S.-led reconstruction efforts. The pair of announcements set off alarm bells within the U.S. government and among allies who are worried Washington's commitment to Syria may be wavering. Sen. Lindsey Graham, R-South Carolina, said on "Fox News Sunday" this weekend that pulling out of Syria would be the "single worst decision" that Mr. Trump could make. European government officials agreed. "This is not the moment to give up on Syria," explained one European government official. "After Mosul, some said it is all over for ISIS. Well, no it is not. If you were to walk away now, we think there is a real risk that things could go back over time to how they were. You can't do this work from afar." A lot depends on a White House meeting on Tuesday, which will take a close look at the Trump administration's Syria policy. Mr. Trump wants other countries, such as Saudi Arabia, to play a greater role and pick up a bigger portion of the bill in Syria. European countries admit that they have to do more to help out in Syria, as displaced Syrians will in many cases wind up as refugees in Europe. Countries involved in the global coalition to defeat ISIS in Syria and Iraq have said they are not expecting a quick and dramatic U.S. exit. But they are wary of the Trump administration's sudden decision to halt support for stabilization efforts. These U.S. efforts, led by the State Department and USAID, are focused on the essentials in the war-ravaged lands: removing landmines, supporting the opening of hospitals and schools, enabling the flow of water and turning on electricity. Over the last six months, the U.S. sent additional diplomats to Syria to work with partners on the ground to facilitate these programs, though the U.S. diplomatic presence in the country remains at under a dozen people. State Department officials explained that Acting Secretary of State John Sullivan would attend the meeting on Tuesday in an attempt to protect the stabilization efforts and renew funding. State Department officials know that Trump is more likely to listen to Secretary of Defense Jim Mattis than other officials in the room. So before Tuesday's meeting, the diplomats reminded the Defense Department that stabilization efforts also include programs like clearing out IEDs. Their argument was simple: those programs don't just make it possible for Syrians to return home -- they also protect U.S. forces on the ground from deadly explosions. The State Department was shocked by the administration's decision to halt the stabilization funding. Some officials were told that the pause came after Trump read news articles about the U.S. role in Syria. "I cannot picture that within six months that U.S. will be out of Syria. At least not responsibly," said a U.S. government official. "More Syrians will die if the U.S leaves," said another official. Yet with the ouster of Secretary of State Rex Tillerson and the imminent departure of National Security Adviser H.R. McMaster, there are fewer voices calling for the U.S. to remain committed to Syria. "The U.S. is now re-litigating its policy on Syria," explained a European government official. "The table was set to stay and the tablecloth got pulled out with Tillerson and McMaster leaving. The plan that they shepherded through may be dead." Earlier this year, Tillerson declared that stabilization initiatives in areas that have been liberated from ISIS "are essential" to creating conditions for normal life and for preventing ISIS from re-emerging. "Terrorists thrive under conditions that allow them to peddle their warped and hateful messages to vulnerable people in conflict-stricken areas. Our stabilization efforts will help those people turn away from the prospect of terrorism and toward integration in their local communities," Tillerson said. It is now unclear whether those stabilization efforts will continue. Most regional experts believe that stabilization efforts are extremely important in maintaining the territory the U.S. has taken from ISIS. Meanwhile, as U.S.-backed forces in Syria turn their attention to fighting a Turkish incursion in the north of the country, Mattis has announced a halt to offensive actions against ISIS. Other military officials have warned that this distraction is harming the primary U.S. mission to wholly destroy ISIS.